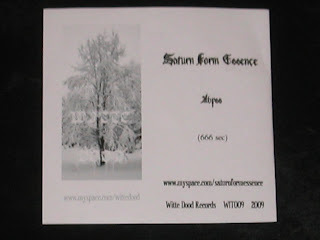 Format: 3" CDr released in 2009 on the Witte Dood Records label (Holland), cat ref WIT009. Plain silver 3"CDr disc in single-sided paper inlay, contained in plastic wallet. Welcome to Voyages Along The Plutonium Path, a celebration of the releases of Ukrainian space drone/ambient project Saturn Form Essence. Little can be told of the background to this project, save that all recorded impulses are the creation of 'S', and the recorded history of the band dates back only to 2009. Within that short space of time from inauguration to present, however, there has been a flurry of releases in tape and CDr format, and during the course of our voyage we'll be visiting some of them to see what they have to offer. 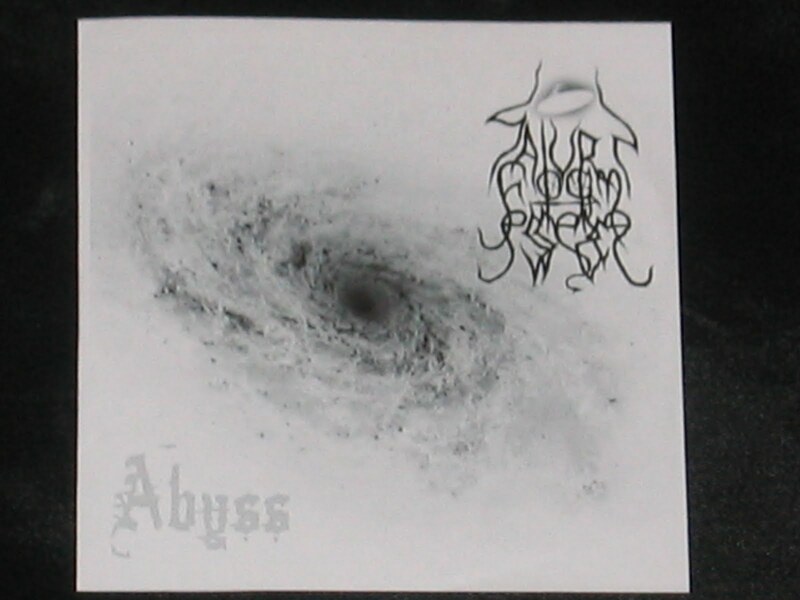 "Abyss" is a single track contained on a 3" CDr with a running time of exactly 666 seconds, maintaining throughout its duration a single path of synthesiser-driven drone, giving a background to deep space at its purest. The depth of the resonance evokes the passage of vast interstellar bodies, or the inexorable pull into the heart of the black hole so aptly featured on the cover illustration. The music of Saturn Form Essence is difficult to describe, in all honesty: it is an aural representation of the universe, creating sounds and textures that allow you to imagine and feel as much as listen and absorb. As this Blog develops we'll delve further into the infinite reaches of space to unpick some of these most unusual releases. Only 33 copies of this demo were pressed by the Dutch label, although the constant mixing of material on successive releases means that you'd be able to find this particular track on other demos too, which if nothing else reduces the frustration of not having grabbed an original first time around. An effective and brooding instrumental piece, one for moments of contemplative tranquility.